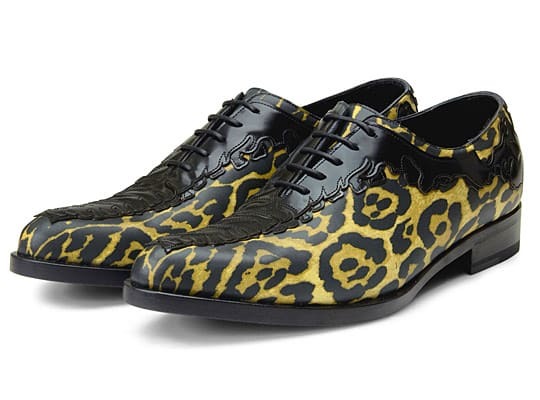 Vote: These Givenchy Leopard Leather Podium Shoes Are Gross, Right? AHAHAHAHAHA! The fact that these shoes are almost sold out on Restir make our stomachs hurt from laughter and our heads hurt from confusion as to why anyone would buy this horrible act of footwear. Just because most Givenchy designs are good, doesn&apos;t mean the brand can&apos;t make mistakes. These shoes, in fact, are the total opposite of good. Gaudy is an understatement. For $1,600 you can look like a baby leopard died on your feet. And the black flame stitching that lies around the laces adds insult to injury. Do you think these shoes are gross, too? Take our poll below.